Ticking virtual boxes in my head. That’s what I was doing when the Porsche 911 you see here was dropped off on my driveway for a week’s test drive. Coupe? Check. Rear-wheel drive? Check. Manual gearbox? A seven-speed check. 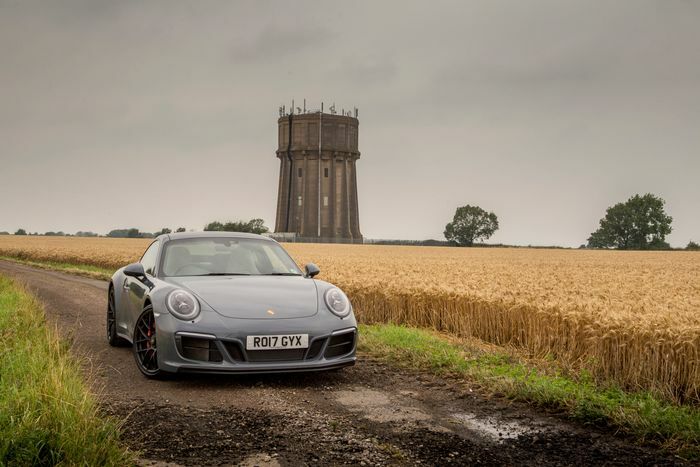 Already, it seemed like my ideal 911, before I’d even gotten to the three letters stamped on the sill kick plate: G, T and S.
To create a GTS, Porsche takes its 911 Carrera S, and pumps an extra 30bhp into its 3.0-litre, twin-turbo flat-six, bringing the total to 444bhp. Then Porsche Active Suspension Management is added, but with a further 10mm drop compared to normal PASM-equipped Carreras. Rear-wheel drive models get the Carrera 4’s wide body and fatter 305-width rear tyres, and the whole lot is finished off with 20-inch centre-locking wheels and a smattering of posh gloss black bits. 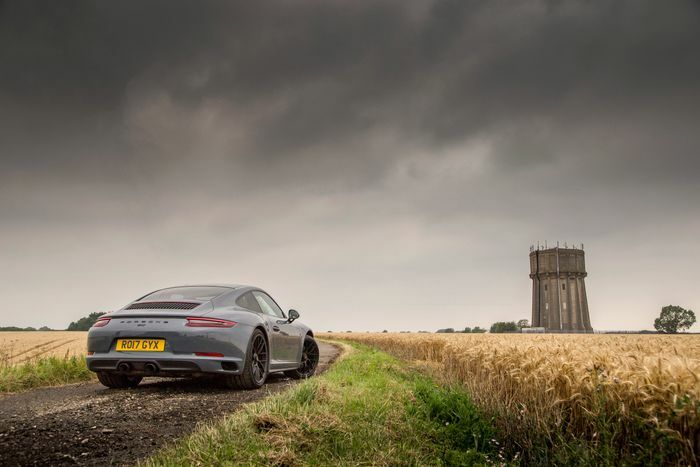 Naturally, my view is that the perfect 911 is probably the new GT3. You can have it with a manual gearbox. It sounds incredible. 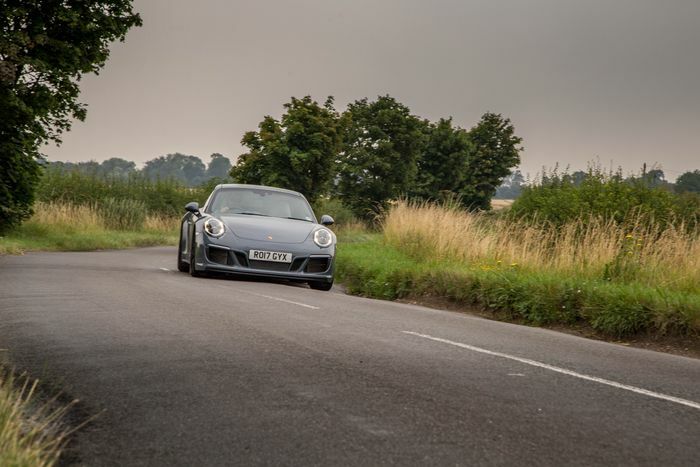 It doesn’t have that OTT, battering ram feel of the Turbo and Turbo S. But even if you have the money, you can’t really buy one - getting hold of a GT Porsche is notoriously difficult, and anyway, even though it’s not as extreme as the GT3 RS, it is arguably just a little too much for the road. That’s what makes the GTS so damn appealing. For starters, unlike the GT3, you can actually buy one. It doesn’t feel excessive away from a track, it has rear seats still, and it’s even quite comfortable. And yet, it’s outrageously good to drive. The steering is something you click with straight away. Yes, the power assistance is electric, but it’s probably the best EPAS setup out there - this 911’s steering is perfectly weighted, delivers reasonable levels of feedback to your fingers and is super sharp. It goes nicely with the kind of pointy front end that makes attacking each corner an utter joy. Grip and traction levels are so high I wonder why you’d ever need to go for the heavier all-wheel drive version, and body roll is nonexistent. In fact in Sport and Sport + the GTS is almost a little too firm: for the most part I ran the car in the still very potent ‘Normal’ mode, which gives the added benefit of banishing the auto-blip system. Worth doing, as the pedals are so well placed that even a clumsy oaf like me can nail a satisfying heel-and-toe downshift every time. And that brings me to the gearbox: it’s mega. The Porsche Doppelkupplung automatic is incredible, but by speccing it, you’re really missing out. The manual slots into each of its seven positions beautifully, but not without effort: it’s a hefty-feeling shift that requires a surprising amount work to engage, further adding to the involvement of the drive. The new 991.2 GTS is - sadly - missing the 3.8-litre naturally-aspirated six of the 991 GTS, but as with the normal Carrera models, I don’t think it’s quite as big a deal as some make out. Granted, I jumped pretty much straight out of a Maserati Gran Turismo MC and into this GTS, which really didn’t help (to start with, it was like I couldn’t hear the damn thing), but after a few days, you really warm to the turbocharged lump. It doesn’t have as crisp a throttle response of the old engine, nor does it sound quite as good, but thanks to a big torque increase contributing to one hell of a mid-range, it feels supercar fast. And on paper it’s not far off: 0-62mph happens in 4.1 seconds, or in the PDK version with launch control activated, you’ll sort it in 3.7. Top speed is 193mph for the manual, and 192mph for the PDK. Crucially, it still sounds unmistakably Porsche-like. It has that charming clatter at idle, and probably sounds its best at around 4000 - 5000rpm as it lets out a naughty howl. 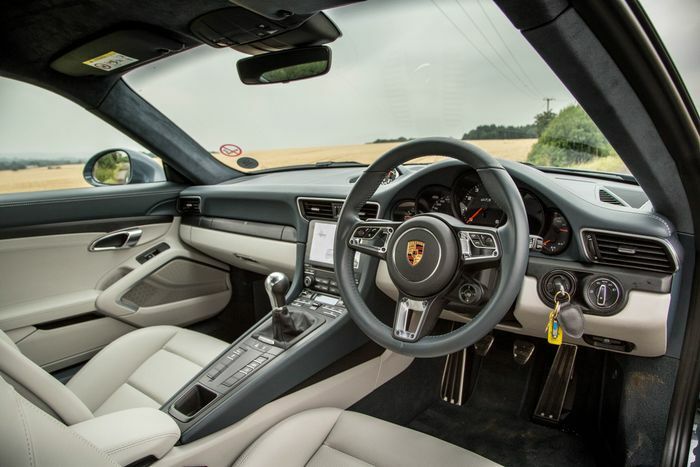 It revs to 7400rpm, and even though peak power is at 6500rpm, there’s little drop-off in poke after that point, so - as with the 2.5-litre engine in the Porsche 718 S twins - you may as well ring it out for all it’s worth. Finding fault with the GTS really is difficult. It’s stupidly fast, surprisingly practical and even - if you’re careful enough - quite economical. I managed to nudge 40mpg on one boring motorway run. 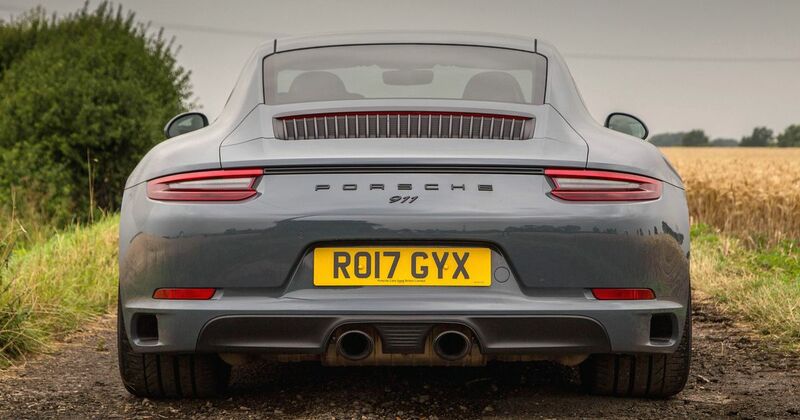 The only real issue - other than a less theatrical noise than you used to get - is a nagging feeling in the back of my head that maybe I prefer the normal Carrera S. You don’t really need the extra power nor the extra tyre width, and as we’ve already discussed, in Sport, the GTS can often be too damn firm for its own good. But, if I were to imagine myself as a well-heeled Porsche buyer for a moment, I’m not sure I could opt for the S, knowing ‘just’ £6981 separates it from the £94,316 GTS. That’s a tiny increase for what you’re getting in return, which is a host of effective tweaks that result in the closest thing to a perfect, real-world 911, not to mention all-round sports car package that no one else can match for the cash.